Need to find the perfect gift for Mother’s Day? Traditionally, we give flowers or chocolates to say thank you to our mums on Mothering Sunday. But, if you’re looking for something a little bit more interesting to give as a gift to a mum who loves her gadgets, then why not consider one of the latest D-Link products which are sure to be a welcome addition to the home for any tech savvy mum. For a soon to be or new mum, this product will provide them with the ultimate peace of mind. This portable camera transforms your mobile device into a versatile, yet easy to use baby monitor. Connect to the camera wirelessly at home or through the Internet when, so mums can check on their infant no matter where you are. It’s packed with features to help care for a child, including motion, sound and temperature monitoring, as well as night vision, automatic snapshots and recording. It can even play gentle lullabies to help ease babies to sleep! PowerLine AV 500 Adapter If your home Wi-Fi network is patchy and you require extra coverage where your Wi-Fi won’t reach, then D-Link’s PowerLine adapters can help by turning every power socket into a possible wired network connection. This extends existing network using the electrical wiring in a home. The kit contains all you need to get mums up and running with PowerLine technology. 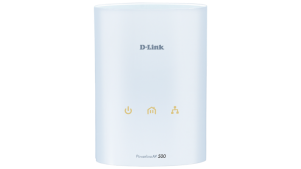 Wireless N300 Range Extender An alternative to the PowerLine to boost your home network is our Wireless Range extender. 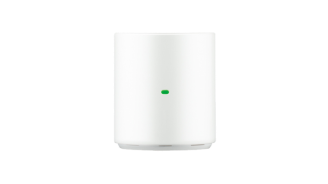 If mum is looking to spend some time surfing the web in her bedroom for some peace and quiet, but the Wi-Fi doesn’t reach there, then our Wireless Range Extender can help. Simply plug the device into anywhere there is a power socket in your home to increase the Wi-Fi range.The wall-plug design makes it easy to install in any environment without clutter. Its small footprint also means that it can be easily plugged into a power outlet without blocking adjacent sockets. For more inspiration, visit our website to see the complete range of products available – if your mum loves to have the latest gadget then you’re sure to find something she’ll love.